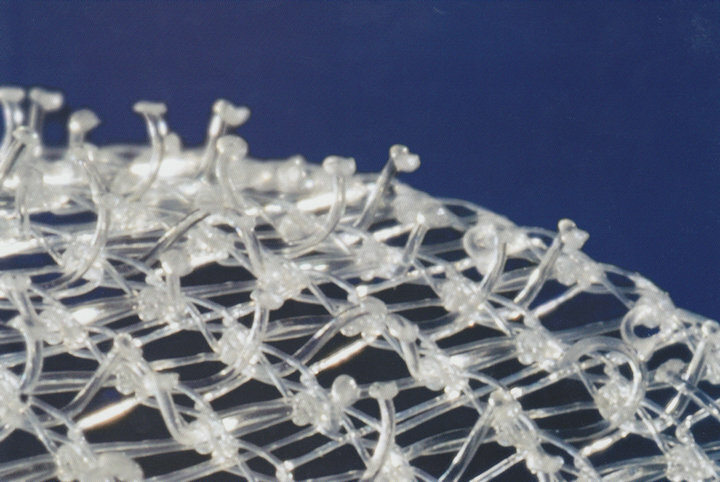 The Hippo Trail compared a conventional sutured mesh with a self-gripping mesh (Progrip Mesh) in Lichtenstein Hernioplasty. The two parameters which were evaluated were incidence of chronic postoperative inguinal pain (CPIP) and recurrence rate after Lichtenstein hernioplasty. The trial was conducted since chronic pain is the most common complication of inguinal hernioplasty and it was thought that one of the causes may be the use of sutures to secure the mesh. However, it was found that self-gripping Progrip mesh does not reduce chronic postoperative inguinal pain (CPIP) rates. Hernia recurrence rate after 24 months was 2.4% for the Progrip mesh and 1.8% for the sutured mesh (P = 0.213). The mean duration of surgery was significant shorter with the Progrip mesh (44 vs 53 minutes, P < 0.001).